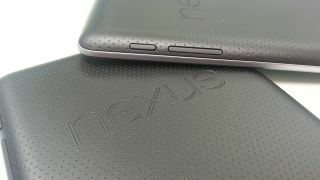 Those whose hopes were raised with the promise of a super-cheap Google Nexus 7 may want to come back down to Earth. Digitimes reported Thursday that Asus and Google were working on a $99 (around UK£60, AU$95) 7-inch slate, plus a $199 (around UK£120, AU$191) model upgrade. The site cited industry sources, however it looks like someone who may actually know a thing or two about Asus' product plans has debunked those rumors. According to Digitimes, Asus has denied the tab-tastic plans for a dirt-cheap Nexus. The $99 version was said to be an "entry-level model" while the $199 iteration apparently would've been an ultra-thin upgrade to the current model. Though it now sounds like neither of them are truly happening, TechRadar has reached out to Asus to get to the bottom of this 7-inch mystery. Asus' North American division said this was the first they'd heard of "the issue." If Asus is just playing coy and the devices do come - presumably in time for the holidays - then they'll give Amazon, Apple, and Barnes & Noble a run for the tablet money. Amazon recently announced the Kindle Fire HD, which costs between $199 and $499 (UK£159 for the 7-inch model, AU$191 - AU$491) while Barnes & Noble's Nook HD 7-inch tab runs $199 - $229 (UK£159 - £189, AU$191 - AU$220). There's clearly a space in the market for a cheap tablet from Asus and Google, so here's hoping they're at least inspired by these rumors to cook something up.